There are more than 27 million small businesses in the United States, and a large portion of them are in the B2C (business to consumer) space. As a company, how in the world can you stand out from the crowd? This can be a tough question. But one of the best things you can do is ace your B2C marketing. When you do this, you'll connect with your audience and convince them to become customers. Here's how to make it happen with some essential tips. It's no secret that social media is a massive part of our society. More than 65% of the population uses some form of it. As a business, this means great opportunity. Social media is the perfect place to cultivate an audience, educate prospects, and generate leads and sales for your company. Depending on your goals, you can even nurture current customer relationships, helping to retain them and also upsell them. The possibilities are endless. It's all about deciding your goals, picking the platform that aligns best and getting started. It will put you on the path to social media success. Any time you have an online presence as a company, it’s essential to monitor your online reputation. Customers will leave reviews on sites like Google, Facebook, and Yelp, and you’ll receive a mix of both positive and negative feedback. When you do receive negative reviews, that’s okay. Every business does. The key here is how you respond to them. Be sure to reach out and show empathy for the situation. Issue an apology and ask them what you can do to resolve their concerns. Potential customers will see this and feel comforted, knowing that you care about your customers and are willing to help when needed. Content marketing is a valuable tool to add to your B2C marketing strategy. The idea here is reaching people where they’re searching. Let’s say you sell shoes. Someone has a question about running shoes and types into Google, “How do I pick the best running shoes?” Well, the results that show up are just pieces of content that people have written. And you could write that content, answering the question, and leading people to your wide selection of running shoes. It’s a fantastic way to naturally and organically generate interest in your brand, ultimately growing your customer base. Consider starting a blog and developing a content marketing strategy for your company. Now that you’ve read all about these essential B2C marketing tips, what’s next for your business? It’s time to implement these ideas into your company’s plans. However, we know that it can feel a little overwhelming. That’s why our team of experts is here to help you every step of the way. Questions? Comments? Get in touch with us at any time. Today, businesses of all sizes must prioritize their marketing efforts or face losing clients to the competition. This means business owners and upper management must make tough decisions regarding advertising strategies. Organizations now have a multitude of ways to reach their target audience. However, doing so takes time, resources, and expertise. If you’re considering trying to handle your marketing initiatives in-house, you may want to reconsider. Outsourcing digital marketing services will put you in a much better position. Let’s go over the top benefits of handing the job over to the pros. In addition to experience and know-how, professionals also have the right tools. This includes the technology needed for research, implementation, and tracking. Sure, these tools are available to you as well, but they’re costly. Plus, understanding how to use them is no easy task. Another thing to consider is marketing technology is always changing. Keeping up with new software and digital marketing trends is a full-time job. By outsourcing, you get dedicated experts who devote themselves to staying up-to-date on the latest tools and strategies needed to expose your business to more people. Paying for outsourced marketing may seem counterproductive when trying to manage your budget. However, you need to consider your return on investment. Professionals will take a proactive approach when attracting new business. Trying to do this yourself will take twice as long and be much less effective. In addition, by relying on a third-party service, you’re taking all marketing responsibilities away from your staff. This means they remain focused on day-to-day operations. One of the most important aspects of marketing campaigns is analyzing their success. Doing so helps you determine how to approach future digital marketing initiatives. Tracking and analyzing the data from email campaigns, web traffic, and social media promotions is difficult. It takes ample experience to understand the numbers. By outsourcing your marketing, you’ll have professionals overseeing your campaigns. They can explain marketing metrics in a way you’ll understand. They’ll also be able to propose changes based on hard data. If you keep this process in-house, you run the risk of generating convoluted data you don’t understand. Remaining competitive requires consistency. You can’t afford to put your marketing efforts on hold for any reason. Most industries have peak seasons and periods of slowdown. This can lead to inconsistent marketing if you’re handling things in-house. By outsourcing, you ensure your marketing strategy is always in effect. A team of experts is constantly working to optimize your online presence and keep your business in front of consumers’ eyes. This will provide peace of mind that your marketing efforts aren’t getting neglected. You can then focus 100% of your attention on improving your operation. Don’t run the risk of subpar marketing by taking on the task yourself. Instead, hand the job over to a company dedicated to providing top-notch digital marketing services. If continued growth and a streamlined operation are important to you, opt for outsourcing today. We provided a wide range of advertising and marketing solutions for businesses of all sizes. Contact us to discuss your options. Especially if you're competing for a limited number of eyeballs in a competitive space like business to business marketing. If you want to stay on top of your marketing game in 2019, keep reading for a few timely B2B marketing tips. Despite the constantly shifting tides of marketing trends, your website should still be the hub of your marketing efforts. If you haven't updated your brand's website in a while, now is a good time to look it over and explore how you could optimize the design and content. Are you clearly conveying your story? Can customers easily engage with and understand your company? These are just a few of the questions you should be asking as you reassess your website in 2019. In the digital marketing space, content is not dead. If your business relies on your website and a strong digital presence, you need strong content now more than ever. While the competition has increased in this area, the necessity has not decreased. Stay active on your website by producing good actionable content that your business to business clients and prospects will find useful. Whether you're running a B2B or a B2C operation, social media is still one of the best ways to connect with your customers. With over 500 million users now on LinkedIn and another 2 billion on Facebook, there is no shortage of potential customers to connect with. For B2B marketing, LinkedIn is a very tool. It allows you to directly connect with others in specific fields and jobs. This makes it very easy for you to track down exactly who you need to get in touch with to make a sale. Don't count Facebook and Twitter out either. Facebook ads generally have a very high ROI, even for B2B marketers. In 2019, if you're not automating your marketing, you're missing out ... big time. The tools for marketing automation are more powerful than ever and easier to use than ever before. From email to your website to social media, you can track and interact with leads without lifting a finger. Use the power of inbound marketing in 2019 and automate your marketing cycle with powerful email and other marketing tools. Although it's now more competitive than ever, SEO is still one of the most important pieces in a successful marketing strategy. With trillions of searches made on Google every year, it's clear that individuals are using search to find everything from new shoes, to local restaurants, to solutions providers for their business. Don't let your search optimization slip in 2019. B2B Marketing doesn't have to be difficult. If you can be consistent with a few simple principles, you'll continue to reach more customers and expand the reach of your organization. But, if you're having trouble gaining traction, you're not alone. Get in touch with us today to learn how we can help optimize your marketing efforts. Are you in charge of your company's digital marketing strategy? Do you know what actionable content is bringing your company success? Better yet, do you know what comes next? Identifying trends, creating relevant content, and keeping your finger on the pulse of the customer is crucial to creating a successful digital marketing plan. Read on to learn more about what works, how you can create a successful campaign for your business, and when to call it quits on a method that no longer works. One of the biggest hurdles in the digital marketing world is understanding the customer. What do they want? Who do they listen to? Where do they go to discover new things? Naturally, some distances are more difficult to bridge than others. If you're marketing at millennials, immerse yourself in their world. If you're marketing a product for children, talk to teachers, childcare workers, or data. Not knowing what's cool (or worse, what rings trite with customers) can be the kiss of death for your digital marketing strategy. In order for your marketing campaign to be a success, you need to define your goals. You can't be successful if no one knows where the bar is. Set a sales goal or target click-through rate. Find a way to quantify the success of your new campaigns. Rank your methods. Reach out to influencers within your niche. Stay true to your brand and reward employees that exceed expectations. Find what works and know when to change course when an outdated strategy is no longer relevant. Companies who refuse to let go of old methods are doomed to failure in today's fast-paced digital marketing world. What worked last year may no longer be relevant. To find success, you need to follow the customer wherever they go to consume digital marketing content. Change platforms, networks, and strategies if you want to keep your product in the eye-line of the consumer. Made a mistake? Great. Now you know. While employees should be held accountable for their work ethic and ability to collaborate with others, routine failures are normal when fine-tuning a digital marketing strategy. Innovation requires some risk-taking. Exploring new markets and giving new ideas a shot are two concepts essential to digital strategy. Let the data guide you and take care not to blow your whole budget on any one method. Setting aside a separate budget for exploratory advertising can be a great idea too. Keep your eye on the competition. If your competitors are scaling at breakneck pace or getting great engagement on social media, do a little digging. Are your competitors investing heavily in social media marketing campaigns like Instagram story ads? Are they relying heavily on influencer marketing? Ad-words? Look for the similarities in the successes of your competitors... then find a way to do it better. Still unsure of what you need to do to make your digital marketing strategy a success? You aren't alone. Fortunately, we're here to help. Visit our blog for more helpful ideas to help you make a digital marketing plan that works. Let our experts help guide your next viral campaign. We're ready to help and cheer on your successes. You need digital marketing savvy if you are hoping to compete in today's landscape. When you fail to adapt to the digital marketing trends of the day, your company will always be struggling to stay relevant. Thankfully, you don't have to be clueless when it comes to getting the word out about your business. The five trends below will be useful to you when you are trying to leave your mark and attract more business. When you want your small business to have a big web presence, starting a blog is the way to go about it. Who would have thought that something that largely began as a means to have a personal journal, has grown into one of the most worthwhile marketing tools on the planet? Today, you can really market yourself when you talk to your public via blog posts. By publishing 4 to 5 times per week (or as much as possible), you offer lots of value, improve search engine optimization (SEO) and set yourself apart from the rest. What's more, this is the beginning of a monetization strategy that can bring you lots of revenue. Artificial intelligence (AI) is here to stay, and will have an even bigger reach in 2019. Chat bots allow you to interact with potential customers without having to do a single thing. Your AI will draw in valuable information and speak to them, so you can virtually be everywhere at once. With these chat bots available around the clock, you never have to worry about missing out on potential customers. 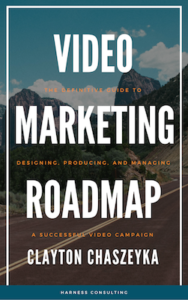 The possibilities are endless with video marketing, and there are several ways to go about it. This is one of the most important forms of digital marketing right now, and you can keep your business growing when you really learn to do it. Video puts a face with a name, so that you are able to spread content across the web and on your terms. The number of mobile users in the United States is set to hit close to 5 billion by 2019. Because of this, you aren't truly reaching everyone if you aren't thinking mobile. Optimize your site, develop a mobile app, use text marketing and do everything you can to communicate on this platform. Great reviews will make it so that your reputation always precedes you. Sweeten the pot by rewarding your customers for leaving you positive reviews. The more quality reviews you have, the higher your brand recognition will be as a whole. When it comes to digital marketing trends, let these five get you started. Focusing on these strategies will be helpful to your company in 2019 and beyond, no matter what field you work in. Digital marketing is a process that pays off when you go about it the right way. Touch base with us to learn more about our work and how we can help you out. According to Social Media Today, video posts on Facebook have 135% greater organic reach than photo posts. Videos yield crazy engagement on social platforms...and there’s no slowing down. More people are consuming videos from their mobile devices at alarming rates, so it’s critical you position your brand to capitalize on this movement. Adding video to your social media marketing offers huge benefits such as increased brand exposure, better follower engagement, and more opportunities to drive traffic to your web pages. Your audience will appreciate the variety you bring to their newsfeeds while giving an alternate approach to engaging in your content. So, give the people what they want more—video! #1 Your Story is Important. Share it! Storytelling is a time-tested tactic that works great at pulling your audience into your brand message. People connect with you through your story. It helps you establish common ground with your followers, making you relatable and real. Stories also separate you from other brands which give you that competitive edge in the industry. Humanize your brand by communicating its story on video. Delve into the “why.” Who do you desire to inspire and what problems are you solving through your products? What charitable contributions do you make to your community? Share what motivates your team to get up and go every morning. Sharing your story will add greater meaning and purpose when people do business with you. An excellent move to promote your brand with social video is to create short, instructional videos demonstrating how your products can be used to solve a problem for the viewer. How-to videos are beneficial because you’re showing people how to achieve a specific result. As a result, you’ll keep viewers engaged while strategically placing your brand in front of your social following. Reduce your video to the most basic steps of the process then speed up your video in production (editing), so it only lasts for about 30 seconds. These social video snippet can be product-related or simply something relevant to your niche. The beauty is they quickly solve a pain point for users. Consider the FAQs that often hit your inboxes or are typically prompted by your prospects. These are excellent content pieces for your blog, email campaign, social media posts, and of course, videos. You see, you’re giving the people exactly what they want because these inquiries derived from your audience. By addressing their questions, you’ll boost thought-leadership and be viewed as an expert in the industry. Plus, it gives you endless content to share across your marketing platforms. Enhance your credibility by posting videos that highlight one question then offers an in-depth response. Since many social users are leveraging search as a way to connect and discover new brands, be sure to include keywords or hashtags that your audience is actively searching for. Whereas hashtags reign on networks like Instagram and Twitter, keywords perform better on Facebook, YouTube, and Pinterest. Live-streaming platforms such as Facebook Live, Periscope, and Instagram Stories are driving tons of engagement on social media. There’s something special about connecting with someone in real-time. People get to see and experience the real you! Live videos quickly build trust and can accelerate your brand’s presence fast on social media. Use these tools to your full advantage. Invite followers into your world by taking them behind-the-scenes at the office, in the field, or company event to share a taste of your brand’s culture. Host live Q&A sessions where you give your audience a chance to ask you anything industry or product related to getting on-the-spot responses. Report breaking news and share your insight and opinion of the matter...give your followers a chance to do the same to foster conversations. Commit to making live-streaming a regular content strategy in your social media marketing. With consistency, you’ll experience a significant boost in engagement and followership. Did you know that 88% of consumers trust online reviews as much as a personal recommendation? Positive testimonials and reviews are killer ways to foster trust with your audience especially those who haven’t heard of you before. Prospects want to see if your products or services genuinely bring results. Sharing others experiences with your brand is a great way to show it! With that said, use your fan’s content as a form of an online review. User-generated content can be creatively compiled into one video as a promotional tool or multiple videos to build up your content vault. Give users credit by mentioning them in the post. Growing this strategy can prove to be a valuable tactic in your inbound marketing as you highlight your customers and give social proof that you’re making a difference. The numbers and stats prove that people enjoy videos on social media. Its popularity has caused brands to tailor their social strategy accordingly to meet the demands of today’s consumer. Use these tips to better your social media marketing and give the people what they want! Ready to amplify your social media marketing with video? We know how to create compelling video marketing campaigns that humanize your brand and gives you the slight edge. Reach out to us today and let’s chat! Just as a marketing strategy is essential for any entrepreneur, it is equally vital for healthcare providers such as doctors, dentists or orthodontists. The power of building a robust patient-nurturing workflow serves to increase engagement, improve care, save staff time and increase your client base. With just a few simple steps, you can take advantage of powerful tools to be more efficient with your email marketing, getting the right messages to the right people at the right time. Determine your objectives for your email campaign. Is it to inform patients about new services? To provide appointment reminders to improve attendance? Is it to inform and enhance compliance with treatment recommendations? Is it to improve outreach and bring in new patients? As you identify multiple objectives dependent on the patient type, then you can move to the next step where you will narrow your focus for each group. For each goal, there is an intended target audience. Creating a list of criteria for inclusion into the group helps determine placement. Some patients will belong to the group who receive personalized appointment reminders, while another group gets a newsletter about ongoing care and specials on cosmetic procedures. Sometimes these lists will overlap, and other times they will be separate. This is all part of getting the right information to the right people. Laying the groundwork is a critical piece predicting the future success of your workflow. Determine what content you will deliver, what you intend to accomplish with this piece and when you will provide it. Thinking about the examples above, the patient who gets appointment reminders might need them when they set the appointment, a week ahead of time and again the day before the meeting. For the patient receiving your newsletter offering a special on cosmetic procedures, perhaps you want to send the first notice three months before the winter holidays and then again monthly as a reminder before party season begins. Be intentional with the message you send and consider that when you compose the email. For each type of patient, you will focus the content of the message and end with a specific call to action. Perhaps that call to action is for the patient to confirm, cancel or reschedule an appointment. Or, it is a link to learn more about a procedure and an invitation schedule a consultation. Decide here what the message will say, how many times to distribute it and what the desired outcome is. You don't want to inundate patients with emails, so carefully setting up rules will prevent this. Workflow rules can specify who receives an email batch and when they receive it, but can also exclude patient groups or certain days or times. If your office is closed on Friday afternoons, you don't want to send an email with a call to action that prompts a patient to schedule via phone and no one is there to respond. Likewise, the patient who has weekly orthodontist visits might lose an important appointment reminder if they are also receiving the email about a cosmetic procedure that they do not qualify for at this time. After the pre-work is completed, turn the workflow and start collecting data! Analyze the data and make changes where needed. Are you meeting the goals? What is your click-through rate? What is your conversion rate? Do you see an improvement in adherence? Watch how the workflow performs and prepare to make changes. Change the subject line, the offer, the frequency or the call to action and analyze the impact. At HARNESS, email workflow is just one of the services we offer to improve your marketing campaigns, expand your business and increase your exposure. Contact us to learn more about creating a patient-nurturing workflow that will help your practice. The fitness industry is more competitive than it has ever been. Society has been on a fitness addiction of self-improvement promoting. Leading to an increased demand for fitness products and services. With service demands booming, fitness brands and businesses have had no issues with drawing people to their services. The challenging dilemma business owners now face in the fitness industry is keeping customer engagement in their brand. Competitors will happily steal customers away when customers begin to lose interest. The secret to inspiring continuous customer interaction with your brand is compelling content in gym marketing. Content marketing helps you reach potential clients in beneficial, intriguing ways. It opens the platform of not only telling clients why they should take a look at your brand but why they should keep coming back as well. The content needs original information, genuine, authentic, educational, and make people feel they can trust your business. Delivering credible content will influence the vital part of developing emotional connections and strengthen your reputation. Not only will customers remain involved with your business but they motivate them to share your brand information with contacts as well. Outsourcing reliable content through content marketing is achievable in numerous ways. Inbound marketing is an essential tool to make your gym marketing stand out from the rest. It advertises what your brand offers with little effort. It supports friendly customer service by helpfully making information available to anyone. Not only will inbound marketing attract new customers but it will convince previous customers to remain immersed in your business too. An enabler for successful inbound marketing is sticking with credible content. Take advantage of the opportunity to make content fun and exciting. Integrate your brand's content into useful inbound marketing tools. Potential customers are serious about finding a fitness facility that makes them feel welcomed and supported during their fitness journey. Offering a sales pitch with conditional attachments will send mixed messages and discourage potential members from your brand. Encouraging a friendlier feel for your brand will keep people engaged and inspire emotional connections. Emotional connections persuade customers to remain loyal. Friendly and passionate relations start with first impressions. First impressions for your business are often found in the business’s content and marketing. This only enforces why making content credible is crucial for keeping customers engrossed with your brand. The brands in the fitness industry are experiencing difficulties in keeping people involved because of high rising competition. This does not mean your business will drown in the rivalry pool. Influential gym marketing can set the standards for why customers remain faithful to your brand. Contact us today for more information! Is it Time to Add Video to Your Marketing Strategy? You don’t have to look very hard these days to find marketing professionals and researchers puzzling over the millennial consumer market. According to Outside magazine, outdoor retailers are especially struggling to get a foothold on the millennial money mountain. As that article and most current literature suggest, inbound and video marketing are the way to go when it comes to reaching prospective outdoor recreation customers under the age of 35. One way to take your video marketing strategy to the next level is to incorporate GoPro cameras or drones with cameras into your business model. That content can quickly be distributed to your audience through your website and will generate new leads and sales. Video drones, GoPros, and smartphones have taken tech, recreation, social media, and video marketing worlds by storm. If you want to start attracting that next generation of outdoor adventurers and nature enthusiasts, you should find a way to bring new components into your strategy. You can set up your own YouTube, Roku, or Apple TV channels for your business. The channel can include streaming photos, videos, and other information related to your particular niche. You can also get the cameras in the hands of your clients. Encourage them to host their outdoor adventures on your site. You can edit the video, as necessary, for time, quality and content. Remember: Most people do not have the attention span for irrelevant, slow, and low-quality videos. If investing in a GoPro or video drone isn't in the budget, there is always the option of renting. However you want to generate GoPro-, smartphone-, or drone-captured content for your video marketing, make sure to obtain releases. If any of this sounds complex, remember that there are online resources you can tap into or video marketing experts you can hire. HARNESS Consulting can help assess the video marketing needs of your brand. Contact us now!